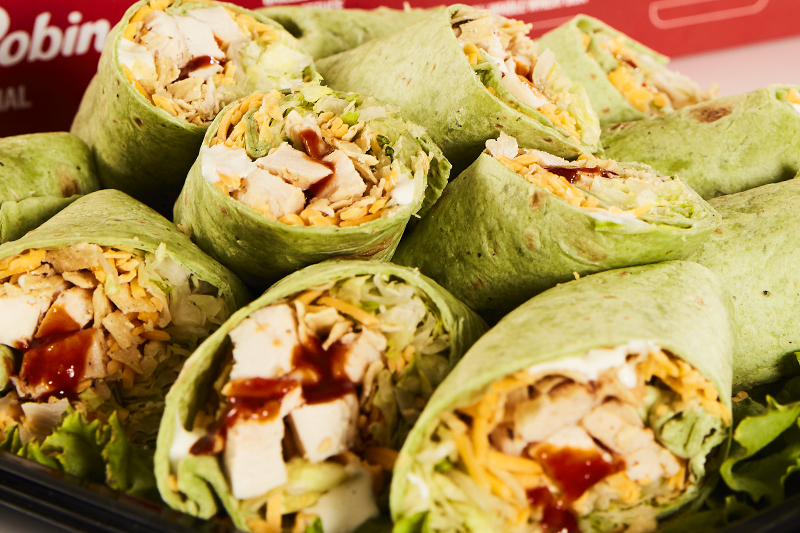 A tasty spinach tortilla with sliced, juicy chicken breast with tangy Whiskey River BBQ Sauce, Cheddar cheese, lettuce, tortilla strips and a touch of ranch. Cal. 1,020/Serving. 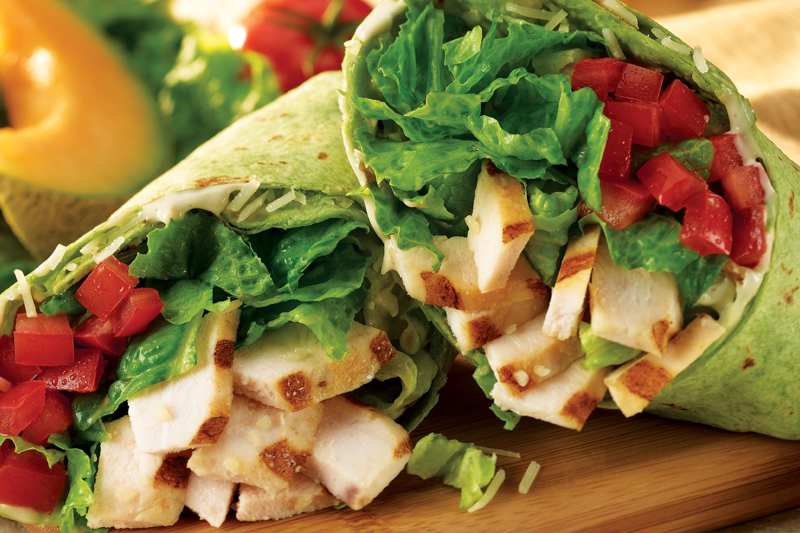 Based on 6 servings. 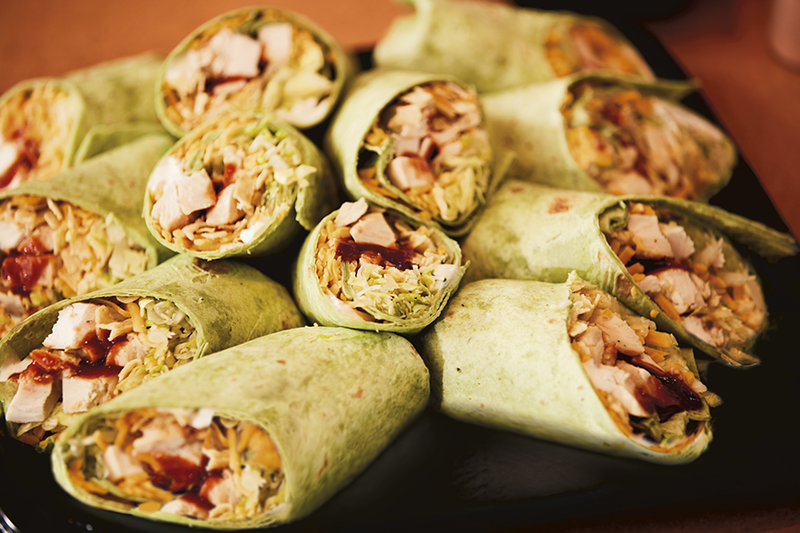 Sliced, juicy chicken breast, Parmesan, romaine lettuce, tomatoes and Caesar dressing wrapped in a spinach tortilla. Cal. 820/Serving. Based on 6 servings. 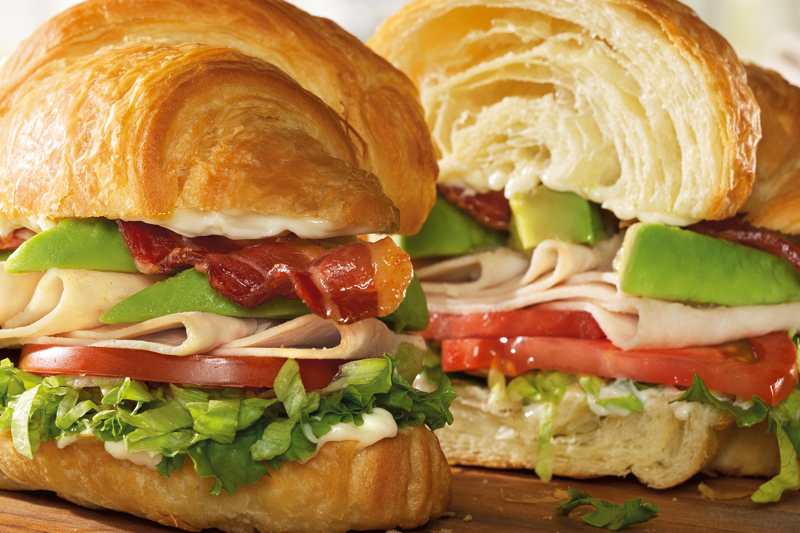 Sliced turkey breast, hardwood-smoked bacon, avocado, lettuce, tomatoes and mayo on a croissant. Correct pronunciation not required! Cal. 560/Serving. Based on 6 servings.